Here at Monterey County Eye Associates, we help patients of all ages see the world a little better. Yet we know that senior citizens have unique eye care needs that have to be addressed carefully. Sometimes blurry vision or mild vision distortion is a signal of a much more serious problem. With that in mind, let's consider some common causes of blurry vision in the elderly. We'll also cover some treatment options that can slow down age-related vision loss or restore overall vision quality. Presbyopia is a form of age-related farsightedness (hyperopia) that is a natural part of the aging process. It's the result of the lenses in the eyes losing their flexibility, making it more difficult to see objects that are nearby. The condition typically starts in the late 40s. Presbyopia can be treated in a variety of ways, including the use of prescription glasses and bifocals. It's also possible to replace the natural lenses with special artificial lenses, or to undergo refractive surgery on a single eye (i.e., monovision LASIK). Cataracts refer to the clouding of the naturally clear lenses of the eyes. This lead to vision loss as the cataracts progress. Cataracts can occur as people get older, and are often the result of long-term sun exposure as well as normal wear and tear to the eyes. Cataracts are most commonly treated through a routine surgical removal. This extracts the clouded lens of the eyes. An artificial lens known as an intraocular lens (IOL) is often placed to restore vision. 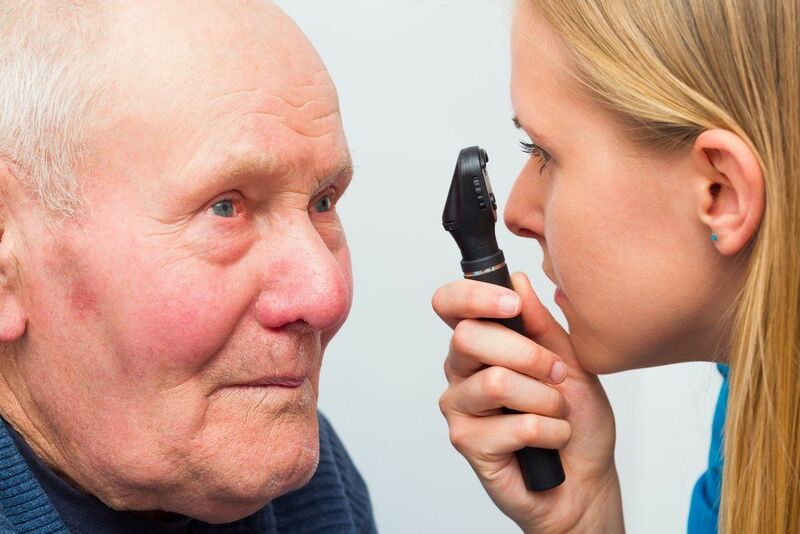 AMD is the leading cause of vision loss in people who are 65 years old and older. The condition involves the breakdown of the macula, the central portion of the retina that is necessary for central vision. In addition to blurry vision, common symptoms of AMD include distortion of straight lines and blindspots in central vision. There are a number of ways that AMD can be treated, including the use of vitamins and dietary supplements, anti-angiogenic drugs, and laser therapy. The ideal approach to treating AMD will vary from patient to patient. Diabetic retinopathy is a vision problem associated with long-term diabetes. The condition involves damage to the blood vessels of the retina, resulting in initial mild vision loss. The condition can cause blindness if not treated soon enough. There are various laser surgery options to consider for advanced cases of diabetic retinopathy that can slow the rate of vision loss and prevent blindness. Mild to moderate diabetic retinopathy may not require advanced treatments but just careful monitoring and proper diabetes management. Glaucoma is a serious form of irreversible vision loss that is caused by increasing pressure within the eye. The pressure causes damage to the optic nerve. If not diagnosed and treated in time, it's possible for people with glaucoma to go blind. Treatments for glaucoma will not restore vision that is lost, but they will help stop or slow the rate of overall vision loss. Treatments may include the use of medications to reduce intraocular pressure and laser surgeries that help relieve pressure in the eyes. For more information about eye care needs later in life and how we can help you see clearly, be sure to contact our team of vision specialists today. The team at Monterey County Eye Associates is here to help you have healthy eyes for years and years to come.